Bastián Ernst of Wild Audience joins the podcast to Respect-Based marketing and how they use it to help 6 to 7-figure businesses automate their processes to acquire customers at profit and scale. Bastian Ernst: 01:25 What’s up, Chris? Looking forward to this. Chris Davis: 01:29 This has been a long time coming. I think the excitement is mutual just as much as you see us doing major things over here on the ActiveCampaign site, it’s always good to see a user who is really strong in what they offer and has their messaging dialed in and really resonating with their audience. Bastian Ernst: 01:50 Cool man. Thanks for having us. Chris Davis: 01:52 Yes. Bastian, give our listeners some insight on who you are and your company. Bastian Ernst: 01:58 Yeah, sure. I run a company called Wild Audience and we are known for a particular term and that’s called respect-based marketing. The second one is relationship funnels. Basically what it is, it’s creating user experiences to establish certain beliefs and then sell certain products and services. That’s what we help other businesses implement, these respect-based powered relationship funnels. Chris Davis: 02:27 Got it. Now, is this your first go at entrepreneurship? Is this your first company? Bastian Ernst: 02:35 Well, you know, there were a smaller trials and errors before. I think the first one was around 15, selling baseball caps and stuff like that. That’s like my main and my most serious attempt, let’s say. Chris Davis: 02:50 The reason why I ask this is because we’re going to jump into respect-based marketing and relationship funnels, that’s what I’m really excited about. I often find that we are who we are, right? As we mature and grow, it just educates us how to be more of ourselves in a way that is more impactful in a positive way to people. There’s always something like, even back when you were selling ball caps and all of your other endeavors, there was probably something in there that you just really resonated with, “Well, I don’t just want to sell the cap.” Let’s have a conversation. Have you seen that be true with your previous endeavors as well? Bastian Ernst: 03:36 For sure. Like for me, I think it was a combination of two things. On one hand it was just creating your own experiences and projects and trials and errors and making your mistakes, that’s one hat, one impact on me. The second thing and I think it’s at least as important to me was having a mentor. When I was 12, 14 years, my dream was always to go to Silicon Valley. I’m from Austria, from Vienna. Entrepreneurship scene is not that big there. From Europe, you always look to big companies in SF and Silicon Valley. I always wanted to go there. Then I was around 18 I made it happen. I achieved my dream. Went to Silicon Valley. That’s where everything happened for me. My mind got opened. I was blown away. I met these people and found his mentor who is now a big reason who I am today and why I do what I do and the way I do it. I think these are the two things, trying different things and having a mentor to ask a lot of dumb questions. Chris Davis: 04:39 Wow. You took that leap, man. I mean, to not be from here and to travel all the way over here with the big dream from your childhood. I mean that took a lot of guts. I know people here in the states that haven’t left their state, their own state. That’s respect, man. You’re amazing. Oh my gosh, you flew over water to get here. No, that’s great. That’s great. Let’s fast forward now. You’ve got Wild Audience. How long has Wild Audience been around? Bastian Ernst: 05:13 It’s the third year now. First year being just me by myself trying different things, cracking that six figures. Then second year was all about just building a team, workflows and figuring out what it means to run a company and having a team and becoming a people person than actually an executer. Now this year is a fun year. It’s really cool. We have now figured out what we want to do, why we want to do it, and that was a lot of fun. Chris Davis: 05:43 Wow. That’s a really fast path to growth by the way. I mean, three years to have it dialed in, know exactly what you want to do, how you want to do it, and even have a name for what you do, man. Hats off to you. Let’s jump into it. Respect-base marketing. You talked about it a little bit in the intro, but this is a term that I saw and I was like, what’s that? Now, I’ve been in marketing. I’ve seen all of the different terminologies and the creative ways and spins that us marketers put on things, but a respect-based marketing was one that I didn’t see often. You often don’t see respect mentioned in the realm of marketing, especially online. When I saw it, it caught my eye. You’re definitely onto something there. Walk the listeners from … They’ve never heard of it. This is probably their first time hearing about respect-based marketing. What is it and where did you come up with the idea? Bastian Ernst: 07:34 It was hard sales pressure tactics. That’s when I thought about, okay, what is business, right? Business is relationships between people, right. Usually one person has a problem, another one has a solution. They build the relationship and then they sell it for a problem for that person. Right? Then I thought about a way on how we can bring these elements which will never go away into nowadays and combine it with smart automation that result is respect-based marketing. We implement it and execute it through ActiveCampaign. Chris Davis: 08:10 Wow. Wow, nice. Now, what have you seen as far as not just implementation but also your audience? How has that resonated with your audience and what are some changes that you’ve seen on the back end as far as how effective it’s been for you? Bastian Ernst: 08:28 The way it works is first of all, you have to understand the attention thing, right? Once you understand that, that you don’t sell first, but you want to attract attention, but the main thing is to keep it, maintain it. That’s the difficult part, right? That’s I’m sure where you come in and do the study halls and all these different things to maintain people’s attention, establish a relationship, deepen the relationship and so on. How do you do that? If you think about your first date or if you want to build a relationship with a friend, usually you ask a bunch of questions, right? Do you have this hobby? Are you interested in that? Then you figure out what this person is interested in, right? Then you probably tailor your conversation towards that area, mutual interests, interests, right? It’s the same with business. If you can put a practical example on respect-based marketing, what we do is we put some educational piece out there, like a blog post or a PDF. Bastian Ernst: 09:22 We promote it through traffic with Facebook ads or SEO, whatever, right? Then we want to get people into our relationship funnel and we do that by asking the questions. Usually it’s five questions, you want to figure out what their problem is and what their desire is. Then our job is to bridge the gap between the problem and the desire. Now they gave us four or five data points and we can personalize the experience, right? You can use an ActiveCampaign. You can use a personalized content inside the emails. You can personalize the message on your landing pages with tools like write message, right? You can show different ads on Facebook and Instagram based on tags and in ActiveCampaign and whatnot, right? You can personalize the experience. The reason we do that is because we want to be relevant, right? Someone is interested in X and apples, we want to talk about apples and not about bananas, right? Bastian Ernst: 10:22 Once people are perceiving you as relevant, “Yes, that’s for me, that’s exactly what my problem is. That’s exactly what my desires.” They will start to engage, right? That’s what we want. We want to get the right people to engage with us, right? Meaning, we use an ActiveCampaign. We set up different emails. I’m sure you know that we call it frequency selectors. At the end of the email, people can choose if they want to have the next email and the trip email campaign now or in two days. They click now, they get the next email instantly. That acts as a micro investment, right? They click something, then they do certain things, right? We build up that lead score to say yes, yes, yes, yes. Then build up the lead score, the behavior. We track their behavior and then we sent the conversion event, which could be an evergreen webinar, an invite sales and discovery call and so on. Right? The whole thing is a cycle, right? Bastian Ernst: 11:16 What we do is we install the beliefs, right? The belief system, right? You have a belief system. I have a belief system. The listener has a belief system. That’s how we decide between right and wrong. If you had a bad experience eating an orange as a child, and I’m now coming on the street, “Hey, do you want to buy my oranges? They’re the best in the market,” right? You’re probably going to say no because you have that belief which stems from the past. Me as a vendor now needs to figure out what that old belief is, break it, reinstall a new one, that orange is actually yummy and healthy. Then once you believe that, it’s easy to sell the orange. Right? That’s what respect-based marketing does. It uses this attention segmentation, personalization, relevancy, engagement, to install these buying beliefs and then once the user or the potential prospect or lead is ready, we present the sales conversation. That results in deeper relationships and trust and longterm and sustainable growth. Chris Davis: 12:14 Yeah, I love it. I’m chuckling along the way as you speak, because it’s so natural, right? I mean you’ve been doing it for so long, it’s just like, yeah and then we’ll have the frequency selector and that’ll add to the lead score and then the evergreen webinar. I can see the list. They’re like, whoa, whoa, wait a minute, because in a matter of minutes, you really broke down a very strong funnel. Right? Bastian Ernst: 12:38 That’s the relationship funnel. Chris Davis: 12:38 Yeah, that’s what I was going to say. I want to rewind a bit and talk about some of those elements because for me, and I saved myself from asking you to tell me what respect-based marketing was so that when you describe it on the podcast, I could go through the learning process with our listeners. The thing that jumped out to me was you’re treating people like people, right? Instead, I can easily just straight sell to you. “Hey you, you look like you could use this. It’s worked for a thousand of these other people. It will work for you. Here you go, click buy.” But you’re saying, “Wait a minute, let’s slow down. Let me get to know you.” Right? “Let me capture some information about you.” There’s various ways whether like you mentioned, write message, maybe it’s a particular website or blog posts that you visited that’s given me information. Maybe you’ve directly filled out a survey or a form and given me information, but I’m not just collecting it. What I’m hearing you say, you’re not just collecting it for the sake of collection and say, “I’ve got a thousand leads today.” You’re collecting it so you can really cater the messaging and experience to them thus respecting the effort that they put forth to provide information, the trust that they’ve shown, even if it was just an email and their expectation to be treated fairly. Right? Bastian Ernst: 14:04 Exactly. Yes. It’s exactly that. Often in the past, people were like, they enter someone’s world and they’re new to someone’s world and then they get bombarded with these sales messages and they lose trust. They lose respect. They were like, “I’m up to something interesting.” Then boom, boom, boom, boom, right? Then they unsubscribe, right? For us, it’s usually the opposite. People, and that’s pretty crazy actually. People, they send us emails and you can go to wildaudience.com/love to see our love page. We have all these screenshots where people say like, “Hey Bastian, it’s funny, it feels like I have a relationship with you. It feels like I know you as a person but in reality I have a relationship with AI, with machine,” with ActiveCampaign. It’s cool but also a little bit weird, but it’s true. Then you imagine if you then have a sales call or discovery call or get to know each other call or one-on-one meeting, just imagine how much easier that sales conversation then will be because of all the beliefs being pre-installed, the trust and the relationship is there. They feel that they know you and so on. Right? That’s how you can get high ROI and more profits and higher conversion rates. Chris Davis: 15:17 Yup. I love it. I love it so. I know you’ve given us the most simple form of the relationship funnel, but I want to talk about the three that you’ve dropped upon us. You got the frequency selector and then you have your lead scoring, and then you have your webinar event. Let’s start with the frequency selector. By the way, I love that name. Two is you know what, as you said it, I knew what you meant and I thought you were going somewhere, right? I thought you were like, “So if you want these weekly to you,” I thought that’s where you’re going to go like the traditional how opt-in, but then when you said, “Do you want it now or two days later?” I was like, oh, Bastian. I see what you did there. Tell me about that. I mean, I love that idea because it’s both like the fast lane and slow lane dynamic, right? Allow people to move at the speed that they want to but also it’s like you found a way to progress them on the fast lane and build a relationship. You’re not saying, “Hey you, based on what I found about you, I’m putting you on the fast lane.” You’re actually letting them say, “Hey, I would like that way.” You know? Bastian Ernst: 16:32 You give them the steering wheel. That’s the thing. I’m the architect, the architect of the whole journey, but then I handed over the steering wheel and they self-select and put themselves through the whole thing at their speed. I mean, the way it works is the frequency selector is just one of the engagement hooks we use in order to get people engaged. We want to get the right people to engage, right? We use activation hooks, we use open loops, cliffhangers. We use frequency selectors. There are lots of different yes segue bridges. There are different things you can do in order to get the right people to engage with you. The frequency selector is fun because basically what it does is imagine like a traditional email sequence, a trip email sequence and email automation of let’s say seven emails. Usually, it’s a two day waiting block in between meaning, it takes, let’s say if you run ads and you acquire a lead for an email address for five bucks, right? Bastian Ernst: 17:23 It takes at least if you present your sales opportunity in the last email, the last two, it will take 10 to 14 days until you will present your sales message, right? With the frequency selector, what happens and again you can go to the love page where you can see how people write about that is they see the ads. They instantly liked the experience, because they like it they continue to engage and then people buy at the same day because like, “Oh, I got the first email. That’s interesting. I need to reply [inaudible 00:17:50].” That triggers another email and then they can click yes. The next thing was there, right? Then 35 minutes later, all seven emails are done. They’ve read everything. They’ve put themselves into the evergreen webinar or sales call. Done deal. Right? The cool thing is for you as the business owner is that you can increase the time it takes to make your ROI back, meaning you can reinvest that money into advertising so that’s pretty cool. Of course, it’s a micro investment. Chris Davis: 18:17 Yep. Yep. I love it because for various reasons, but it is, you’re allowing … What’s you’re doing is you’re appealing to the ways that people are being trained to consume content right now. Right? When Netflix drops a series, everybody, “Oh, I’m binging this weekend.” People want to just sit back and go from one episode to the next, even to the point now, you know, Netflix doesn’t even require you to click. It’s like the next episode is starting in five seconds. There’s the countdown and it just starts. That’s exactly the feel that I get when you’re explaining how you’re using your engagement hooks or whatnot, it’s just like let them go. They saw your ad, you did a good job, right? You did a good job with your messaging, your targeting and it’s resonating with them. Let them consume as much as possible. Whereas Bastian, I know probably around the time when you were really learning this and under your mentor, drip feed was everything, right? Get one day, wait a day, give it to them the next day and that was the thing. Now, it’s just like try that with respect to somebody like you and Wild Audience going for the same person. They’re like, well, while I wait, let me just click all of the links that Bastian is sending me. Just move along. Bastian Ernst: 19:47 Exactly. It’s fun to see. We then integrated ActiveCampaign into Slack and we track every time someone clicks one of these engagement triggers and suddenly your business comes alive. You see all these messages in Slack, like people clicking different things and selecting their journeys. It’s fun. We just have a channel dedicated to that, that fun part of it. It’s cool to see your business being alive. Chris Davis: 20:11 Yeah. A quick tangent. You mentioned Slack. Slack, I’ve been hearing some of the most creative uses of Slack lately and it’s becoming like that, I don’t want to say like the central, the center of data, but it’s so easy to see activity, right? Once you start integrating with your most important tools and then of course, since your team is already in there is it just helps you keep your finger on the pulse of your business at all times. That’s a bonus for all of you listeners. Let’s talk about lead scoring because I think this has been brought up maybe a total of three times on the podcast thus far. How are you using … You know what? Bastian, when I go and do the workshops, I’m kind of giving it away, maybe I won’t give it all away. I call lead scoring something, how about that? Because I still like the shock factor when I say what it is, but outside of the name, what I tell people is it’s one of the features that are often put on the back burner just because I didn’t come from a sales background so I never really used it. Once I understood the power of it, I was like, “Oh my, why did I wait so long to apply such a powerful feature?” How are you all using? Are you using a score based on a collective score for all of the engagement along the way? Bastian Ernst: 21:38 Basically, we use it because we do something that is called behavioral pitching, right? Instead of just pitching your offer, we track the behavior and engagement and then once the person is ready, meaning they hit a lead score threshold, that’s when we start pitching. That’s why we call it behavior pitching. Basically, I mean, we track only certain elements towards the threshold. We don’t track things like opening an email. We do purchasing front end. We track purchasing front end products. We track link clicking sales page visits, and then we just create a point like a scale like scoring system. Clicking is let’s say five points, visiting a sales pitch is 20 points, buying a product is 100 points. Then once we have that threshold, let’s say of 157 points, that’s where we then trigger two things. Either an invite to an evergreen webinar which is automated through ActiveCampaign or we trigger a webhook from ActiveCampaign through [sapier 00:22:47] and then triggered Gmail email, which then looks like a really real from a human sent sales email. You know what I mean? [inaudible 00:22:57] and then we ask people to jump on a call. Right? That’s how we use it. Chris Davis: 23:01 Wow. I love it. I love it. It’s simplified scoring to the point where and I know it’s taken some time to really fine-tune the scoring system, but you simplified it to the point where it’s just like, “Hey, everybody over this threshold, they’re ready.” Right? Bastian Ernst: 23:18 That’s exactly [crosstalk 00:23:19] what you said. Chris Davis: 23:19 Say that again. Bastian Ernst: 23:20 It takes time as you said, right. It’s like I said 157, but maybe for you it’s different, right? It’s something maybe you have to put some up together and I think, “Okay, I estimate that this lead score is there people being ready,” but then if you, let’s say have a lead score of 150 and you trigger it as I want to jump on a call email and then the people on the call are very low relationship, probably you’re going to pump that lead score a little bit up, right? Yes, it takes time as you said. Chris Davis: 23:49 It’s one of those things where I tell people get started as soon as possible. We have a basic framework just on the website of how to create your first lead scoring, your lead score and let it run for 30, 60 days. Right. Then go and look at the scores and look at the quality of contacts and adjust as needed, you know, ongoing. Here at ActiveCampaign, we swear by our lead scoring, everybody that I’ve met like yourself that has found that lead scoring system for them they’re like, it’s one of the best things I’ve ever done. It was refreshing to hear you say that man. The last step, the last step in this is, and again, everybody, because I want to do it justice, this is the bare-bones. This is the most basic version of the relationship funnel. I’m sure they can go to your website to find out much more, but now you have the sales event. For you, you’re using the respect-based marketing at the point of capture to really tee it up and reinforcing it with the relationship that’s saying, hey, they’re ready. Once they’re ready, you’re then either reaching out to them in person or sending them to another sales event. The evergreen webinar, is that the primary sales event that you’re using right now? Bastian Ernst: 25:14 That depends on the business. For example, we do consulting, meaning it’s more of a high ticket, meaning we really want to talk to people and they want to talk to us. We trigger an email to jump on a call. Actually, in the quiz and then we jump on a call. If we do have front end products where we sell digital products and courses and trainings and whatnot, that evergreen webinar has worked really well. Again, remember when we talked about the segmentation part where we ask them a bunch of questions, one of the questions actually is annual revenue, right? Then we know that people above a certain revenue point, they should jump on a call and they should be a client buying our consultancy and all the people below, they’re not quite ready yet. We sell them our digital products. Based on that, we sell them either to the evergreen webinar where we use EverWebinar for or Calendly to schedule a call. Bastian Ernst: 26:14 That’s again where you can use your data points in order to personalize the experience and actually draft an offer or create an offer specific to their needs. Right? Chris Davis: 27:26 You really don’t know. Right? For you, the question, first off, I just wanted to, hats off to you in that aspect because I feel like the same responsible approach you take to your marketing you take to your business. I was thinking in this, in this, like you say you’re not out there just pushing and throwing products down people’s throat and everything like that. What has been the hardest for you in making that transition? Sometimes I know it’s tempting because you see it, it’s all over the place. What would you say has been the hardest with establishing this respect-based marketing and relationship funnel approach? What’s been your biggest struggle with that or hurdle, I should say? Bastian Ernst: 28:16 Of course you see maybe your competitors or other big players doing the standard stuff and you’re like, “Oh man, maybe you should also offer a bonus,” maybe two, maybe a missing [inaudible 00:28:27]. In the end, we had that phase, right? It took us many months to, okay, be authentic, stayed true to actually what we believe in but then on the other hand, balance it out maybe with a promotion or a bonus there. It took some time to be honest. Right. The hardest thing I think was actually that transition, letting go of that and being okay with maybe actually maybe I lose out some money there, but at least I’m true to my approach, to my company, to the way we do that. Other people really connect with that. Right? Maybe we lose some of the people who would have bought because of the bonuses. Right? Maybe that’s not the exact type of person we want to work with, right. Especially once you do high ticket. Now, by doing it exactly the way we want to do, which is respect-based marketing, no fake scarcity, we actually connect with the people who think alike. Right? That then I think allows for better customer client relationships and also more customer lifetime value but it was hard, the transition. Chris Davis: 29:45 I mean, essentially, I hear you saying being an individual, not following the herd, not getting drawn into the eye candy it seems to be. Bastian Ernst: 29:58 We even renamed our sales page to zag, /zag, as everyone zigs, we zag. Right? We try to incorporate that as much as we can. Chris Davis: 30:10 Oh man, I love it. I love it. Bastian, this has been great man. Thank you for coming on the podcast. If people want to connect with you, experience some of the relationship funnel and respect-based marketing, where’s the best place they can go? Bastian Ernst: 30:27 We talked about the theory, but I would say as you said, like the best thing is just to experience it yourself. Once you entered our website, a lot of things will happen. You will see personalized ads on different types of platforms, on YouTube, Instagram, Facebook. You will see emails, you will see bot messages, everything will be quite synced and work together because we sync the data back and forth. Just experience it yourself and see if you like it, see if you feel like all the other clients on our love page and then you can judge for yourself, right? Just go wildaudience.com, to the homepage or if you want to get a summarized PDF for what we talked about, just go to wildaudience.com/podcast. Then you can download a PDF. These are two pages I will say. Chris Davis: 31:09 Great, great. Well, Bastian. Bastian Ernst: 31:13 Sorry, I missed something, or the podcast. 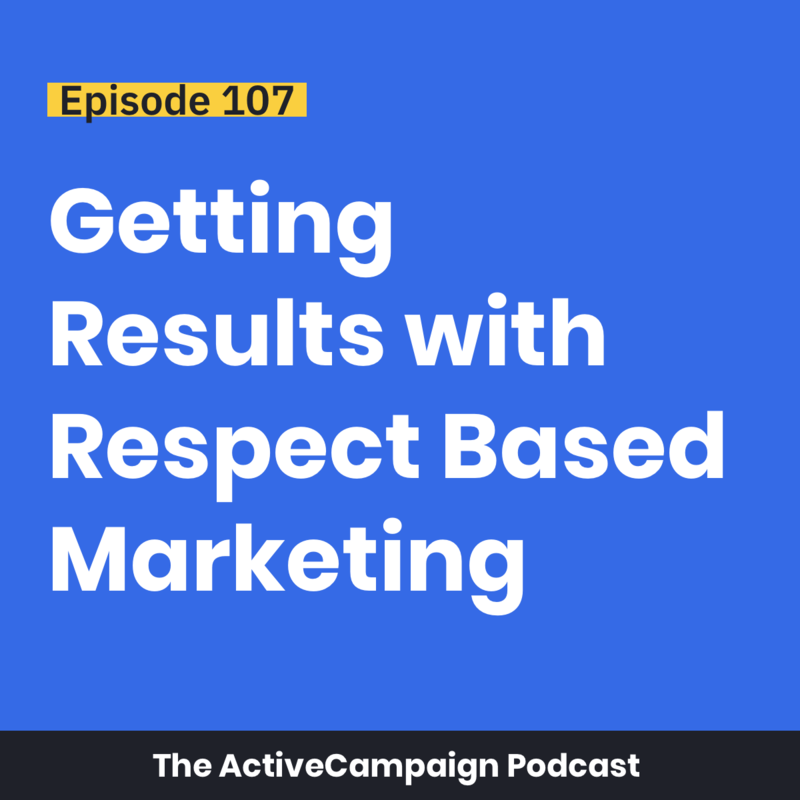 We have Respect-Based Marketing Podcast since this is a podcast, it might make sense. Chris Davis: 31:20 Right, another one to add to the list of. Man, Bastian, this has been great, man. I really appreciate you coming on and just really peeling back the curtain and letting everybody see what’s behind the success and what you’ve achieved. Again, this is in three years so hats off to you man and we’re rooting for you in the company here to make sure that we’re providing the best tool to ensure your longevity, man. We appreciate your usage and your tutelage and everything. Bastian Ernst: 31:52 Thanks, Chris. I really, really enjoyed the conversation. Chris Davis: 31:54 All right, great. I’ll see you online, Bastian.